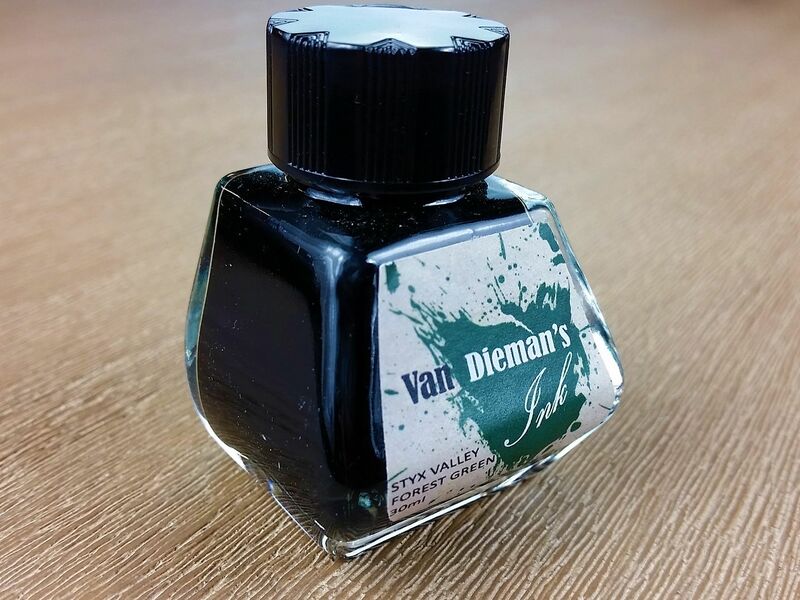 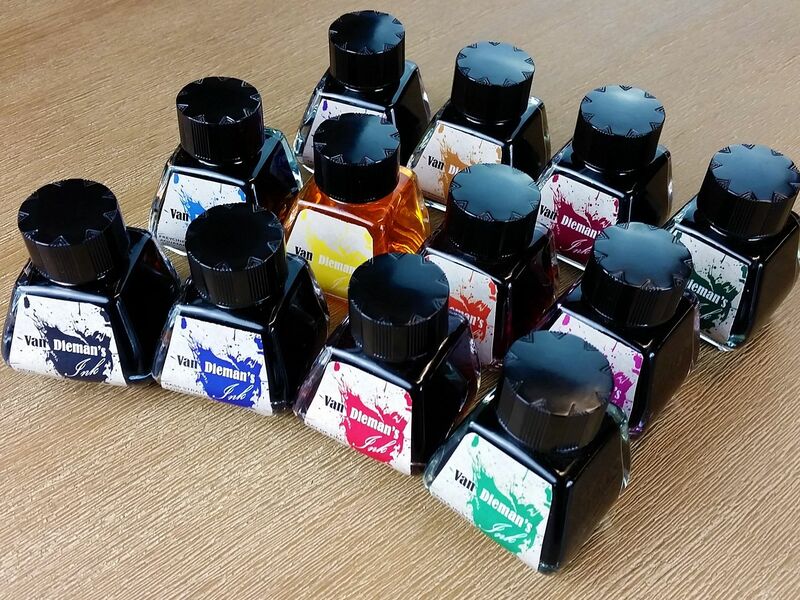 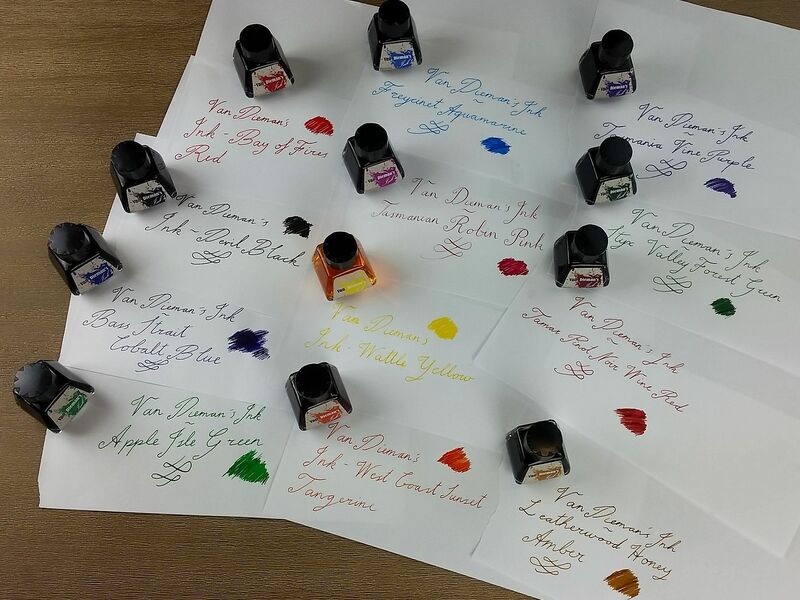 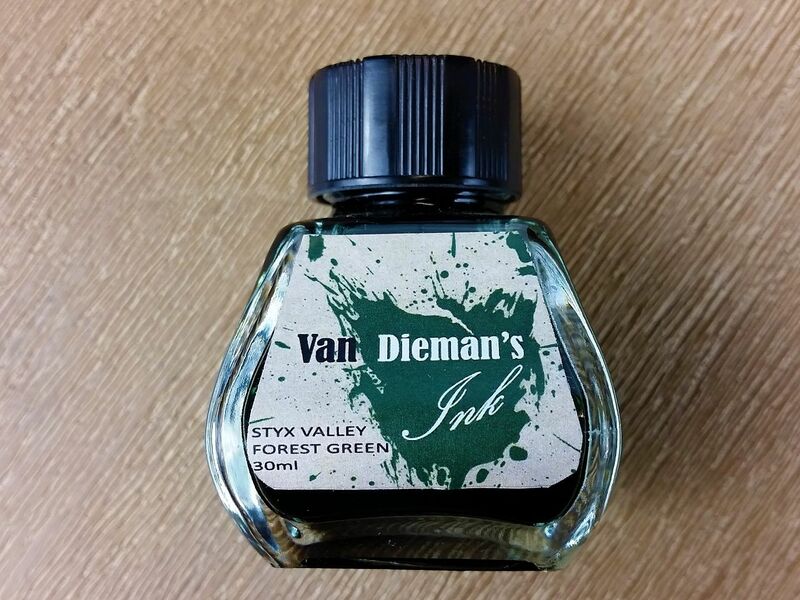 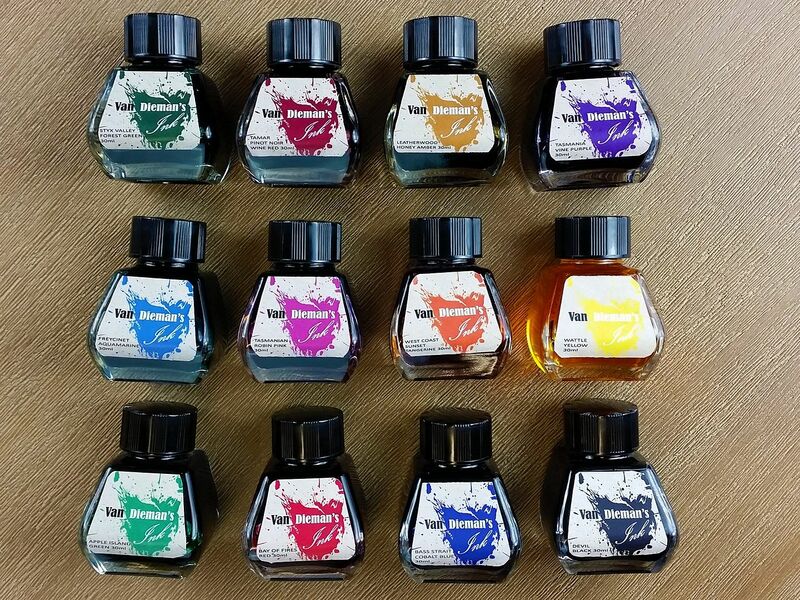 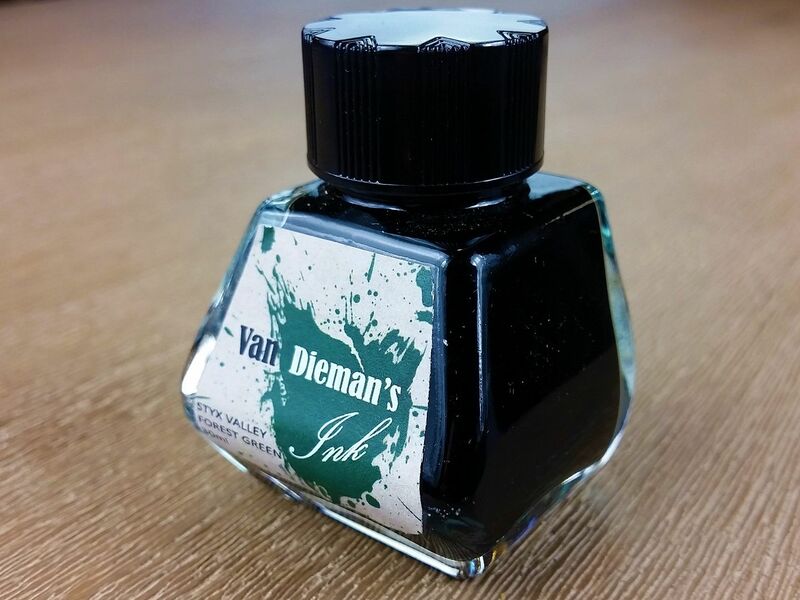 Van Dieman's Styx Valley Forest Green is a deep, darkened ink, with a moss and foliage hue. 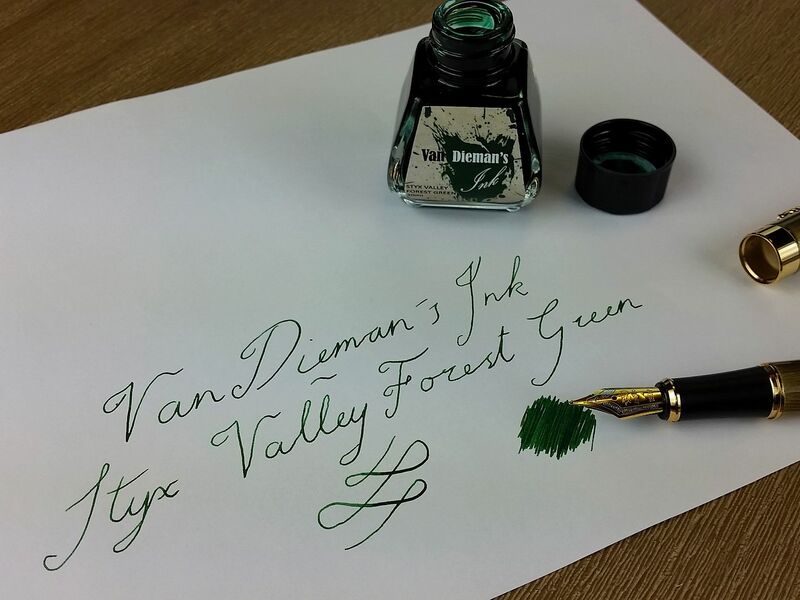 The Styx River Valley, in south central Tasmania, is an old growth forest, often named The Valley of the Giants, as it is home to Australia's tallest trees and the tallest flowering trees in the world. 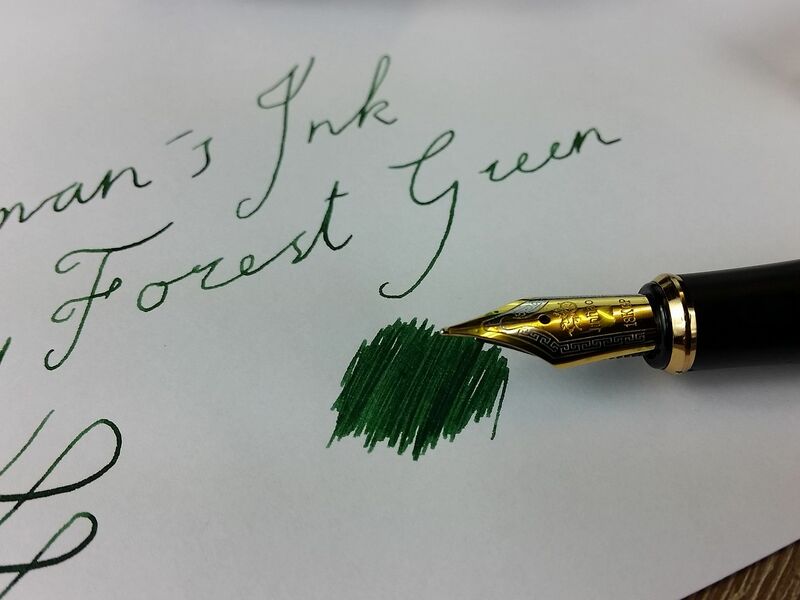 The sense of ancient reverence that this hallowed place instils is the inspiration for this arboreal ink. 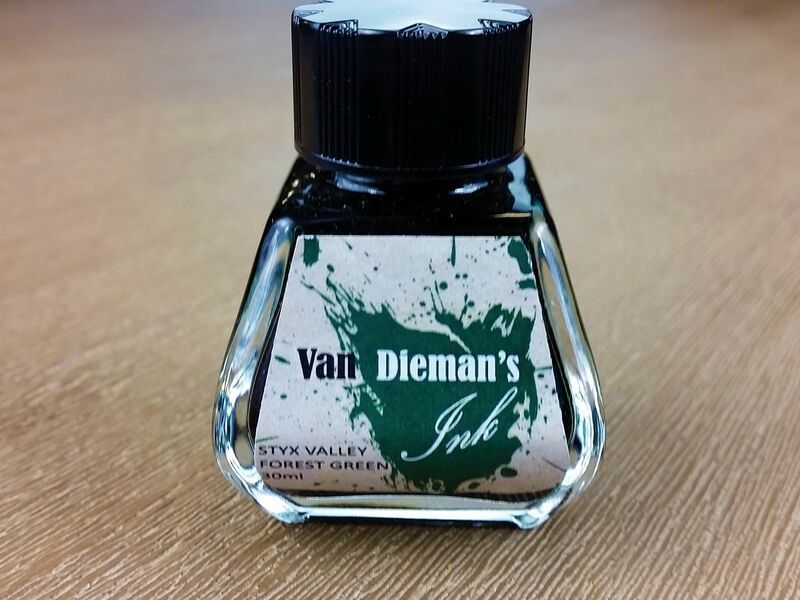 Guaranteed not to clog or clot, you will be very happy with this organic little bottle of wilderness.